Important Note: It does not affect your FarmVille 2 neighbor’s farm as all actions are on a copy of Neighbors farm and not actual farm(Check out the working Video). You cannot move ‘Water Trough’ or Non-Prized animals in inventory. For this FarmVille 2 cheat, FarmVille 2 players neither have to download any application nor to have basic knowledge and understanding about cheat engine. Sound interesting? All you need is little patience and practice and you can hack your neighbors’ farm to get Decorations (including items which are not available in the general store now), coins, XP, Prized animals water and crafting energy. It is not stealing as it does not affect your neighbors’ farm and it does not harm your neighbor’s progress in anyways. By default you can perform 5 actions in your neighbors Farm. Perform only 4 actions first. Perform next action by clicking something out in open and far from current position of your FarmVille 2 Avatar. If you watch carefully, you will notice that FarmVille 2 Avatar will pause for a split second just before performing the 5th action. Timing in the next step is the only catch in this FarmVille 2 Cheat. Just as he begins to PAUSE, PRESS THE ‘RETURN HOME’ BUTTON. If your timing is perfect, option to ‘RETURN HOME’ will get disable and your avatar will stay in your neighbors Farm. Now you are all set to enjoy the stay in neighbor’s farm. Right Click on any building to activate your Tool Options to sell or to put item in the inventory. Harvest and stock crops and trees to gain XP. Harvested crops and fruits will be available in your inventory for further use. You can tend Well and Furnace to refill stock of water and crafting energy. 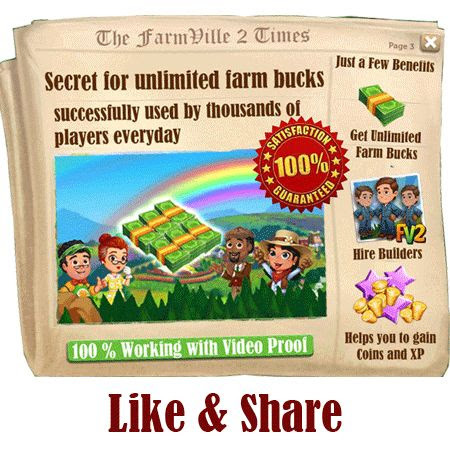 We consistantly try to bring latest FarmVille 2 Cheats to our FarmVille 2 players, so please do not forget to like us on our facebook page for upcoming farmville 2 Cheats updates by clicking here and share this post with your other farmville 2 friends so that they can also benefit from these Tips. 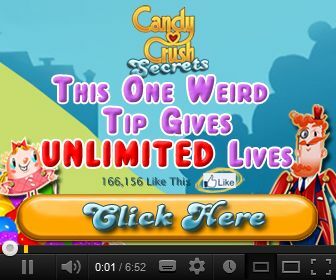 Thanks this works great for me. Just have to get the timing down. OMG! This does work. Also, I was able to sell a neighbors prize chicken coop and now have two chicken coops on my farm. From me its work,so thank you!And yes,timing is important! it works many misses but i got twice , i feels bad for my neighboor :( whats happening when i took something from then , also the can figure out was me and punish us ? doers it work on zygna farmville2 neighbors. it did work!!! nice work guys!!! keep it going !!! got it to work but why wont it allow me to take wells or troughs? I cant get it to work ive tried many times.. Any tips on how to do it?